As I saw one of Lush's little lip scrub tins, I thought: I could DIY this, but better. I can mix sugar with oil myself, and I'd prefer to omit the artificial colours and flavours. I mean, for that price they should put a natural essential oil in it. * Sugar. I prefer brown, but feel free to go for white if you want to colour it. 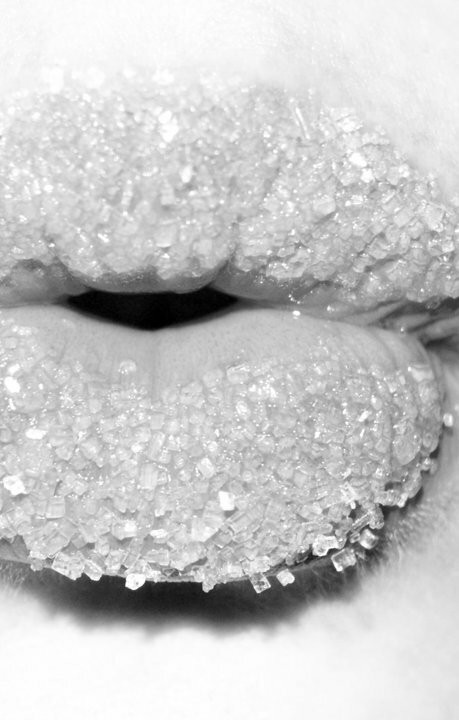 I recommend sugar with finer granules. * Oil. Jojoba is light, olive oil or wheat germ is moisturising. Please don't use vaseline! * Cayenne pepper. Optional. This lightly irritates the lips and makes them plumper. Not recommended for everyday use, but great for special occasions. Don't try this on chapped lips! * Essential oil. Optional. Best are the ones that have a nice taste as well -- vanilla, orange, mint, ones that you could use as food flavouring. * Colours. Optional. DIY cosmetic stores usually sell skin-safe colours. You could probably use food colouring as well. * A cute little jar to store the scrub in. Fill the jar with sugar. Add so much oil as to make a manageable mixture ("wet sugar", not soup!). Add a drop or two of essential oil and colouring and a tiny pinch of cayenne. Mix, and that's it ! I don't know how long this keep, but when the oil starts to smell rancid you need to toss it.